Basking in the aftermath of its omnichannel retail-rival Black Friday, Cyber Monday patiently lay-in-wait for the hordes of already keen consumers, in this exclusively online shopping event – a last chance to purchase any cut-price electronics just in time for the festive period. The Supply Chain Consulting Group looks at this seasonal surge and supply chain impact. With US origins; and first referred to as Cyber Monday in 2005, it was namely launched as a sales event to be held right after Black Friday. The perfectly crafted time to purchase discounted deals on gadgets galore, from TVs, music devices, and health trackers, to drones and home cinema systems. Whilst some retailers choose to offer uninterrupted week-long deals; others choose to increase the exclusivity of their events, the products they offer, and of course their best deals; by restricting this all specifically, within a traditional one-day-only event. As always at the beginning of November, speculation surrounds the potential sales to be offered by prestigious online-only retailers such as Amazon, and the traditional, yet omnichannel retailers such as Currys PC World, Boots, and John Lewis, joining in on the opportunely festive sales. So just how do e-tailers and logistics providers prepare for, and cope with the efulfilment demands of events like Cyber Monday. A key responsibility of any Supply Chain manager is to arrange and coordinate transportation for multiple clients. Retailers often want to make sure they have something for everyone in-stock for these types of sales; so to captivate as many consumers as possible, they may choose to hold and manoeuvre a very varied inventory. An increase in the volume of orders, can in-turn cause bottlenecks or delays in shipping, which has the potential to affect the entire supply chain and disrupt all the orders caught behind the delay. Predicting possible deviations within deliveries, there should always be an alternative plan in place, to pro-actively avoid and prevent any supply chain problems caused by the seasonal increase in supply and demand. Staffing alone requires concentrated planning and organisation. Seasonality and the cyber-sales directly affect supply and demand, which in turn dictates the need for increased warehouse operative staff. To handle the seasonal surge, not only are a greater number of staff needed; but they need to be able to hit the ground running, be proficiently trained, and perform to the required standards, of each specific supply chain. Whilst the increase in demand means an intense period of concentrated planning, it does usually result in a longer-term payoff; with seasonal sales proven to be some of the most profitable days, for retailers, and logistics companies alike. Increase in supply and demand encompasses services, as well as retail products. With seasonal sales riling up competition between multiple logistics companies vying for the most lucrative clients, it is no longer just retailers who benefit from the seasonal increase in profit growth. 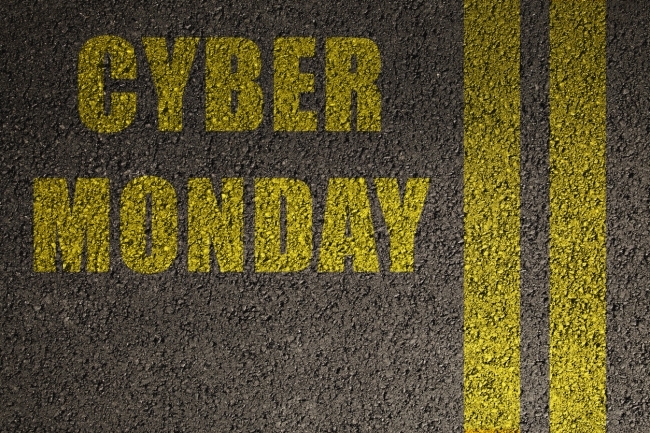 Statistically, year on year, Black Friday and Cyber Monday continue to run strong amongst the robust realm of ecommerce. Despite the ongoing challenges of effectively stocking-up and planning ahead; these are almost always outweighed by the numerous and prolonged opportunities, to boost profits and acquire new clients.